At NuEar, our nation-wide network of hearing professionals is carefully selected to ensure dedication to our patient-first approach to hearing healthcare. All too often we hear stories about hearing practices aiming to see more patients each week by shortening appointments and omitting post-purchase counseling. We believe, however, this quantity over quality of care is not conducive to helping one get the full benefits of better hearing through hearing aid technology. One NuEar hearing care provider, Belinda Gonzales of NuSound Hearing in Topeka, KS, proved how holding this patient-focus approach as core value provides success for both the many patients she has helps and her business as a result. A few years back, Belinda decided to leave her hearing specialist position to start her own hearing practice, driven by her agenda for greater emphasis on patient care and counseling. Unfortunately, in hearing of Belinda’s ambition and the different approach to hearing care that she wished to employ, many in her life didn’t offer much encouragement. 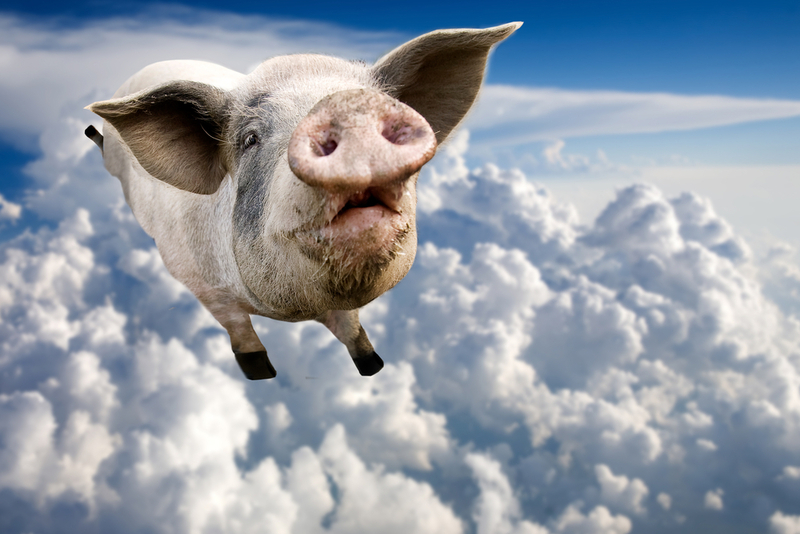 Rather, in knowing the challenges of running a business, several in her world cynically remarked that she would be successful “When pigs fly!” Yet, this skepticism didn’t thwart Belinda’s ambition at all to operate her practice with patient-first values and provide the best hearing outcomes possible. Over the course of her first year, Belinda stayed true to her values and noticed the extreme delight from each patient that she worked tirelessly to help. As the months passed, she noticed that more people were coming to visit her by referrals from her current patients. At the end of her first year she wanted to recognize the community of delighted patients that have contributed so greatly in her practice’s budding success. To celebrate the anniversary, Belinda and her staff decided to have a bit of harmless fun in honor of the words of discouragement she received by hosting a patient appreciation pig roast event! As shown in the photo from this event, she celebrated her patients as the primary reason for her practice’s success. Clearly her patient-focused approach to hearing care and providing hearing aid technology proved beneficial to the many individuals enjoying better hearing as a result of her work as well as the success in her business’s growth. This serves as a perfect example for how partnering NuEar hearing practices aim to operate across the United States. We encourage you or anyone you know that may be hesitant to seek hearing care to take advantage of a free hearing consultation at any of our nation-wide network of locations. Simply click on this link and enter your zip code in to find a provider nearest to you. We look forward to hearing your better hearing success story!